Bottleneck Gallery closes out the year with a massive MATTHEW PEAK ARTIST PROOF SALE today featuring sold out prints and rarities as well as his most recent THE THING SCREENING PRINT online release. This poster was for a sold out screening of the movie The Thing that Bottleneck Gallery held earlier in the month of December. The Thing screen print with an impressive illustration comes with a glow in the dark layer, measures 24 x 36 inches and is hand-numbered edition of 225 (price $65 USD), with the Variant edition hand-numbered edition of 125 (price $75 USD). This release goes on sale Thursday December 27, at 12 noon EST on Bottleneck Gallery’s website. 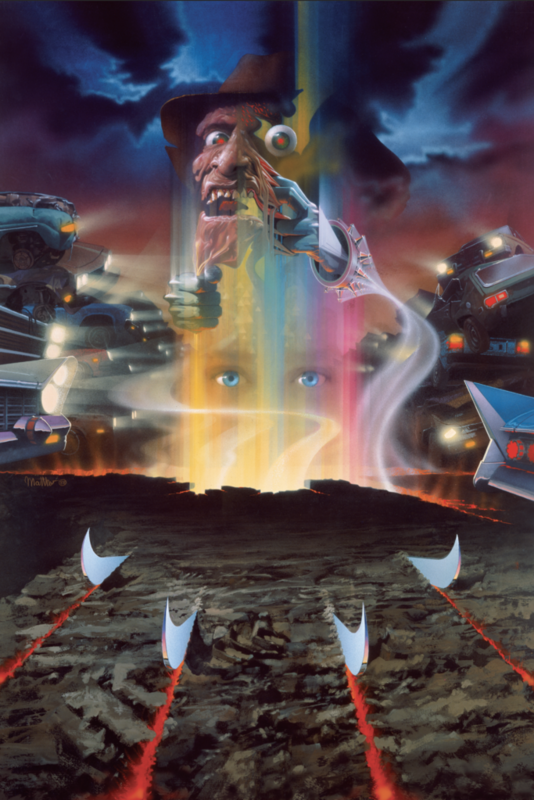 Matthew Peak is widely known as the original illustrator of the posters for A Nightmare on Elm Street 1-5 and many other classics. Peak is the son of legendary movie poster artist Bob Peak and shows that he takes after his father in artistry yet develops a style of his own throughout all the different projects he’s worked on. Take a look at a few of the countless horror related gems below. 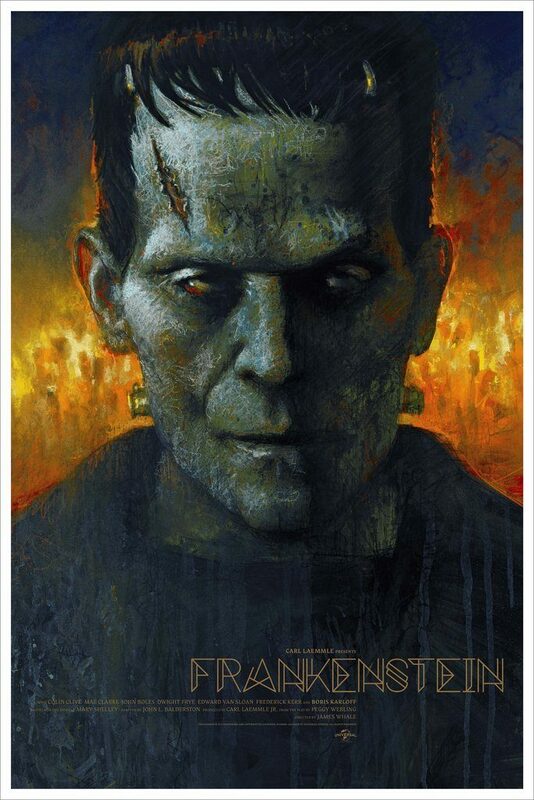 Frankenstein by Matthew Peak This artist proof edition of 25 screen print measures 24 x 36 inches and gives Frankenstein a very modern look (price $65 USD). Halloween 2 by Matthew Peak featuring 14 color screen print and measuring 24 x 36 inches, signed and numbered. 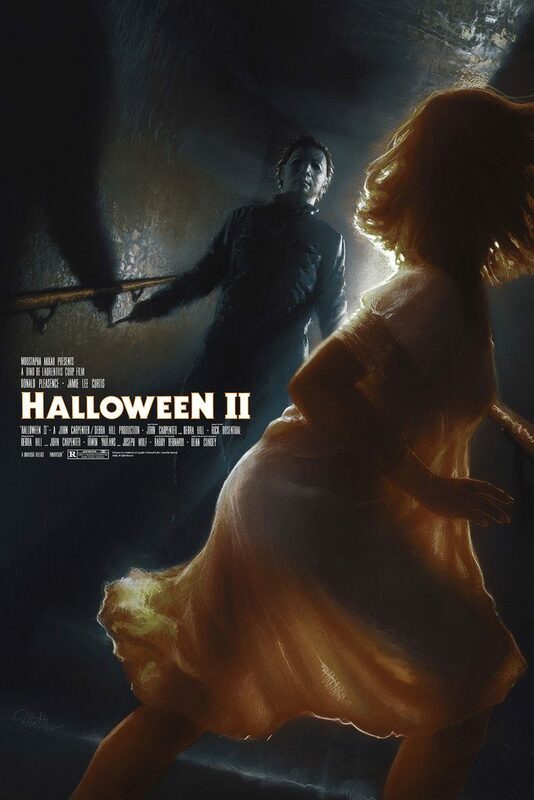 See how Matthew Peak takes on another horror icon (Michael Myers) in this Artist Proof edition of 20 (price $70 USD). Also, available is the Halloween 2 artist proof variant edition of 15, which comes in a black and white colour, created with metallic ink (price $80 USD). For fans of Freddy Krueger, both A Nightmare on Elm street 3 and 4 screen print artist proof editions are available in variant and non-variant editions in limited amounts. These 24 x 36 inches, varnish layered prints will look very familiar to fans of the film franchise and would be the envy of any horror collector’s collection. The original prints come with film title and tagline and the variant versions let the picture do the talking and have no lettering at all. Look for more releases from Bottleneck Gallery and Matthew Peak throughout 2019, you never know what exciting horror projects they have in the works. Check out the official website for availability and pricing.